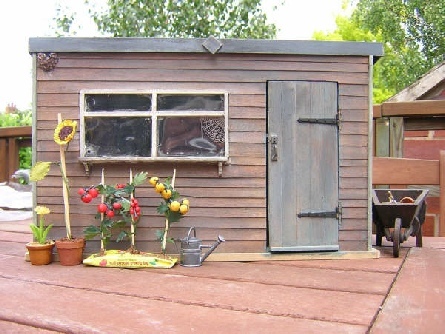 Garden shed kits are now available. All components are grooved or rebated to exact tolerances to ensure an exact fit during assembly. Features of the shed are: opening door, removable window that can be glazed, lift off roof that is rebated on the underside. The sheds takes approximately 10 minutes to assemble. Please note: The shed is delivered to you as a unpainted flat pack kit and not as shown in the main picture.